I joined the concert crowd assembling in front of the temple and sat and waited with increasing impatience for an hour or so until the sun struggled over the horizon. Is that it? I thought and went to get coffee-breakfast. It occurred to me later that I had seen dozens of landmarks, just as iconic, but had never before felt the need to get up in the middle of the night and watch the sun rise behind them. But it had never before been a Thing You Must Do before You Die. It is always a must: a sternly-worded injunction, a must try … do not miss … essential … cannot leave without: never a friendly, you could do this if you want. It is like working for a manager proud of being difficult. I have been white water rafting, but that was in Thailand which doesn’t seem to count. You have to raft the Lower Zambezi or nothing. I have been to Ibiza several times – I was there for the openings once – but I have never been to a closing party, and that is all the authors of bucket lists recognise. I am not doing very well. I have no chance of getting to all of the 1000 places in Patricia Schultz’s book, especially if I have to find time to read the 1001 books and see the 1001 movies listed in the Quintessence Editions. And I have not even looked at 1001 Foods You Must Taste Before You Before You Die. There are still things outstanding which I should have done before I was 25. Come to think of it, though, it is hard to see how any one person will ever do all the things which routinely appear on bucket lists. The sort who dream of making a million, meeting the president and having things named after themselves are never going to live out of a van. Someone putting in the work to get a book published and have an artwork in an exhibition, while becoming fluent in a foreign language, inventing something and running his or her own business, will not have the time to visit every country in the world. He or she will be hard pressed to fit in milking a cow and skinny dipping at midnight. In truth, I am not fussed if I never see A Clockwork Orange, and I have wrestled with Finnegans Wake before and been beaten and I am not likely to try again, and while I had the chance to go to the Golden Triangle when I was in Southeast Asia, I decided not to bother. I have no intention of doing a runner from a fancy restaurant, and I certainly don’t want to get arrested. I cannot see the point of shouting “the drinks are on me” in a crowded bar, even if (which I don’t) you have pots of money; and I am not sure there is anything to forgive my parents for. 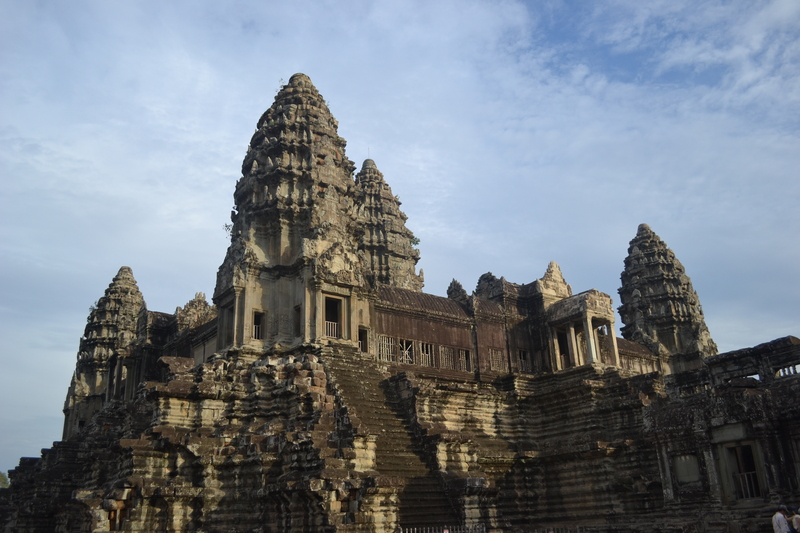 There are, as well, a load of things I have done and want to do which I have never seen on any bucket list but which will stay in my memory long after that early morning at Angkor Wat has faded. 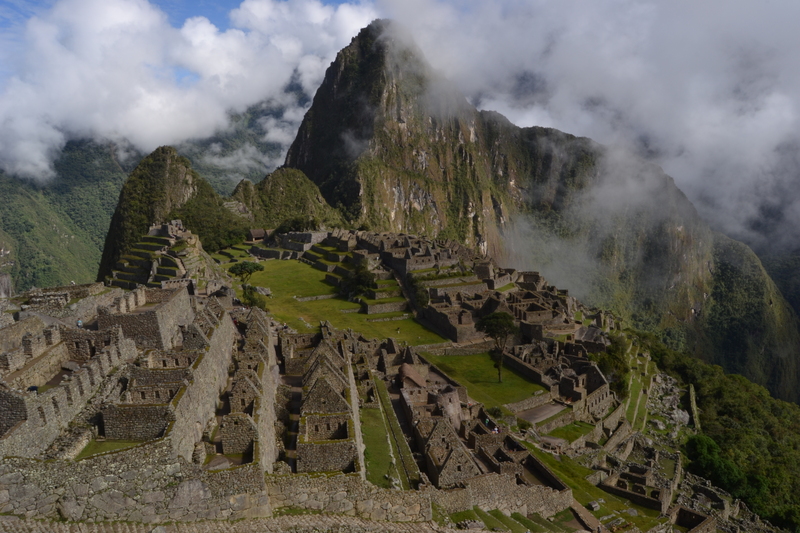 So when I went to Peru and they told me I had to see Machu Picchu at sunrise, I ignored them and spent longer in bed. I did the same. My friends dragged me out of bed to see the temple in Angkor Wat before sunrise. It wasn’t really worth being up that early for. I did appreciate being up early because it meant I got to take the day more leisurely than if I had gotten up later. A lot of these bucket lists are other people’s opinions, and I think you are totally right about not being able to achieve them all. If you were to create your own bucket list what would you have on it? It’s hard to say.It changes a lot. I’ve got a shortlist of countries I definitely want to go to and a few things like living overseas which I’ve not managed to do yet (although I’ve worked abroad for a month here and there). There are quite a few things I’d like to do but aren’t practical or at least I couldn’t justify the expense (flying in a fighter jet for instance). I’d like to do voluntary work with cheetahs. There’s bound to be a load of stuff I don’t even know about. An amusing piece – thank you! I am amazed that people believe they should follow a published “Things To Do Before I Die” list or someone else’s Bucket List. What I dream of seeing or doing is actually quite different to the ideas of my husband! We compromise and recently did a road trip in the US where we “winged it” and had an amazing time. No lists, no time frame and no plan. This is how we will travel in the future for unexpected and often simple pleasures! Very good read and something I had not thought about. Reblogged this on Critterlover's Blog. LOL I enjoyed this post. I actually woke up in the early hours to hike to Machu Picchu; it was on my personal bucket list. Have you got a bucket list? You know what they say about not being a slave to principles? Same goes for the bucket list. Here’s one person’s story. Angkor Watt is the navel of the universe, and so is Cusco Peru. When I googled them I found seven. That’s a lot of navels. Haha! I’ve not heard that before I’m not surprised. I know there are 6 or 7 “Venices of the East” and about a dozen “Parises of the East”. I wrote a piece recently which mentioned one of the very many “oldest pubs in Britain”. Reblogged this on Lampworking – my passion. Glad I’ve never read any bucket list. What a pain. I don’t even like the phrase “bucket list” never mind the concept. I’m much more into serendipity and as someone else said – coming across the hidden special moments in my own neighbourhood.